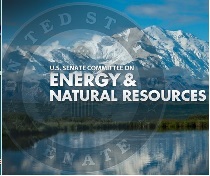 Washington, D.C. – (RealEstateRama) — This week, Ranking Member of the Senate Committee on Energy and Natural Resources Maria Cantwell (D-Wash.), unveiled several bills to be considered for, comprehensive energy legislation. Specifically, Sen. Cantwell’s bills address enhancing cybersecurity in the energy sector, modernizing and securing the grid, expanding our energy workforce, and accelerating the transition to cost-saving smart buildings. This bill, cosponsored by Sen. Smith (D-Minn.), accelerates the transition to smart buildings by supporting research and by documenting the costs and benefits of emerging technologies in private-sector and federal government buildings. Specifically, it requires a survey of privately-owned smart buildings, directs smart building retrofits in certain federal buildings to quantify costs and benefits, and directs research and development toward reducing the barriers to the adoption of smart building technology. Representatives Welch (D-Vt.) and Kinzinger (R-Ill.) introduced the House companion bill today. Read the bill text and summary. This bill, cosponsored Sen. Heinrich (D-N.M.), creates several programs within the Department of Energy (DOE) to identify, enhance and test supply chain vulnerabilities and response capabilities between the DOE and other agencies, national labs and private industry. The bill looks to secure energy networks, bolster industry participation in information sharing, address the cyber workforce, enhance monitoring tools and expand DOE’s cooperation with the intelligence community. This bill, cosponsored by Sen. Heinrich (D-N.M.) and Sen. Hirono (D-Hawaii), would authorize new DOE demonstration programs to modernize the grid with storage, microgrids, and distribution-level investments in technology like electric vehicle chargers and advanced distributed generation. In addition, the bill requires DOE to provide a series of “off-the-shelf” tools to local and state grid regulators to accelerate the adoption of new technology and grid controls. These tools would reflect the diversity of various states and include architectural analysis of the grid, performance metrics for new technology, and distribution network planning. This bill, cosponsored by Sen. Hirono (D-Hawaii), establishes a 21st Century Energy Workforce Advisory Board, a nationwide advisory board at the Department of Energy for the development of a skilled energy workforce in both traditional and clean energy sectors. The legislation also establishes a competitive workforce grant program to partner with state and local government, industry, and community colleges to provide job training through a community college or registered apprenticeship program to provide students with industry-recognized credentials.